2016 - Omnivore Recordings (re-release). Originally released in 2003. The Blind Boys Of Alabama’s Grammy-winning Christmas album is now even more special! It’s hard to believe that in their multi-decade history, The Blind Boys Of Alabama hadn’t issued a Christmas album until 2003—but, when it arrived, it was greater than anyone would have imagined. 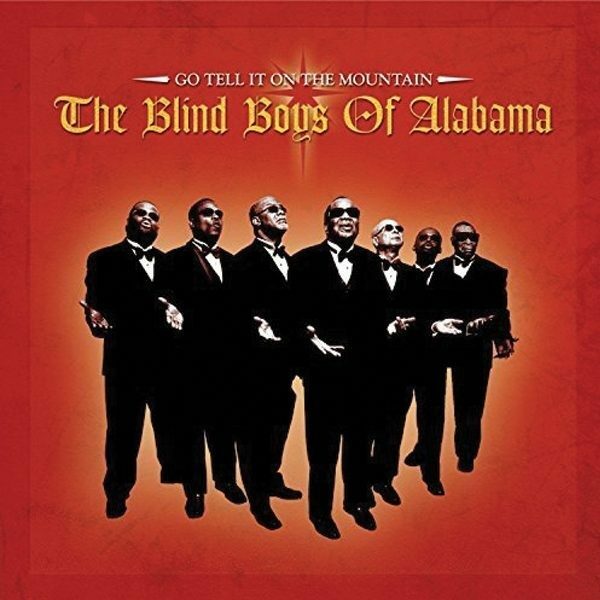 Go Tell It On The Mountain featured The Blind Boys’ signature vocals, matched with a bevy of special guests including Solomon Burke, Tom Waits, Chrissie Hynde, Mavis Staples, George Clinton, Les McCann, and many more. While the release was expanded in 2004 to include an extra track, this version of Go Tell It On The Mountain goes two better, with live tracks recorded at the Beacon Theatre in New York. Also included is an insightful new essay from Davin Seay—co-author of memoirs from Al Green, Dion, and Snoop Dogg. Just as a new generation of listeners was introduced to The Blind Boys Of Alabama at the turn of the century, it’s time for their classic Christmas album to continue the tradition today.